1996-97 Newcastle Home Shirt (Asprilla 11). 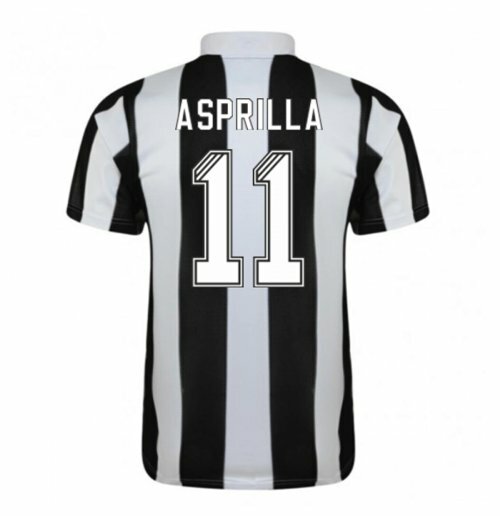 OfficialFaustino Asprilla footballshirtfor the Newcastle team. This is the Newcastle Retroshirtfrom the 1996 season it is available in adult sizes S, M, L, XL, XXL, XXXL and kids sizes small boys, medium boys, large boys, XL boys.This Newcastle footballshirtis Black and White in colour and comes withFaustino Asprillashirtprintingon the jersey.